WASHINGTON — Canadian startup NorthStar Earth and Space has raised 52 million Canadian dollars ($39.5 million) for a 40-satellite constellation that would monitor the Earth and objects in space. In an interview, Stewart Bain, NorthStar E&S’ chief executive, said the funding puts the company on a path to start service in 2021, about a year later than initially planned. “The momentum that we’ve got now is very big and we are moving very quickly,” Bain said. The governments of Canada and Quebec each invested 13 million Canadian dollars into the company. 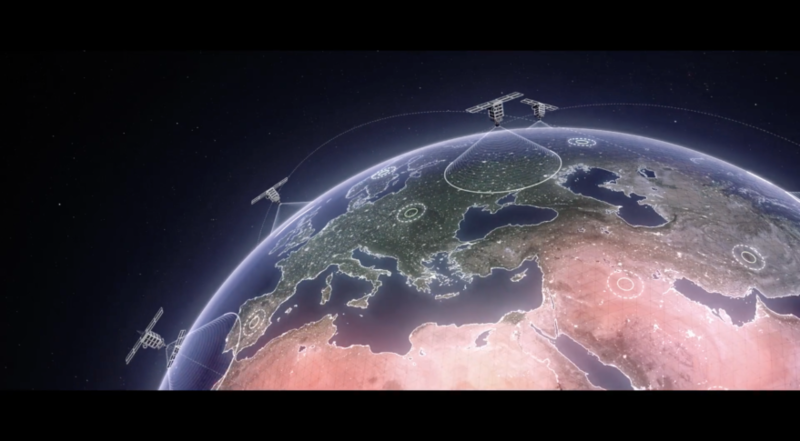 The rest came from Telesystem Space, a Canadian media and tech-development company, and the Space Alliance, a partner organization of European satellite manufacturer Thales Alenia Space and Telespazio. NorthStar E&S, formerly Norstar Space Data, is preparing satellites with hyperspectral and infrared cameras pointed at Earth and optical cameras pointed at space. The purpose of the constellation is to provide both Earth observation data and information about space debris and objects in orbit. With hyperspectral imagery, Bain said the constellation will provide “a chemical signature of the Earth’s surface rather than just a photograph,” having the ability to identify pollutants in soil and water. The combination of hyperspectral and infrared sensors will enable information products for agriculture, oil and gas, forestry, urban planning and other markets, NorthStar E&S said in a release. The space-focused optical cameras will be able to find, track and predict the orbits of more than 300,000 pieces of space junk in low Earth orbit, according to the company. Bain said the Space Alliance is “playing a very active role” in developing the satellites, ground segment and products for NorthStar E&S. That work doesn’t shut out NovaWurks, however, since NorthStar E&S had announced three years ago it was working with the Los Angeles-based company on using its lego-like “satlets” that can self-assemble in space. Bain said Thales Alenia Space is assessing both its own products and the products of other companies for the NorthStar E&S system. “Nothing is exclusively written off at this point in time,” he said. NorthStar E&S satellites are projected to have a mass of 750 kilograms, about a 100 kilograms smaller than the 81 Iridium Next satellites that Thales Alenia Space also built. Bain said the satellites need to be that large to support their multiple remote sensing payloads. The hyperspectral sensor will weigh around 200 kilograms by itself, he said. “It’s a large sensor with a large aperture that can collect a lot of light,” he said. NorthStar S&E has 20 full-time employees today, but plans to grow considerably as its constellation comes online. In a press release, the company said it plans to create around 400 high-skill jobs directly and another 1,200 jobs indirectly for big data and information analytics. NorthStar S&E plans to establish several “AGILE Centers,” short for “Applications for Global Innovation and Leadership” around the world for data and analytics, with the first opening in Montreal, Canada in 2021. “Our government’s investment will help ensure that Quebec remains at the forefront of advanced information technology, creating good jobs for the middle-class and positioning Canada’s economy to be globally competitive,” Bains said in a statement.